Located on Juhu Beach Road, Sun N Sand Hotel was India’s first beachfront hotel. The hotel features a host of modern amenities and facilities for the guests to enjoy their stay here. The in-house restaurant Aqua is a 24-hour coffee shop that serves a range of local and international cuisines. 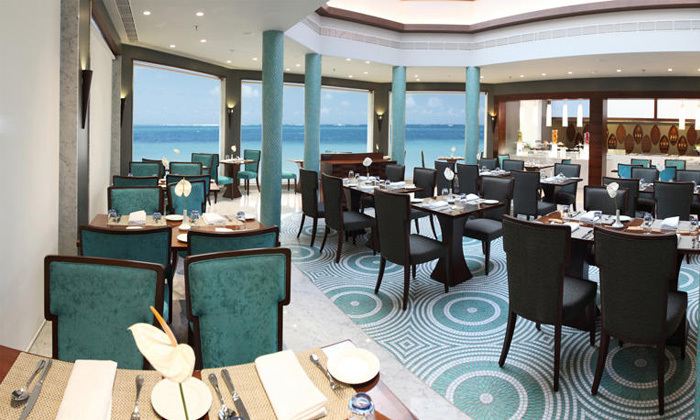 The restaurant offers a beautiful panoramic view of the Arabian sea and the hotel’s elegant poolside. Comprising of a dedicated staff that offers special attention to detail and quick service, a sumptuous fine dining experience for every guest is assured.